Snoring is an unwanted sound. 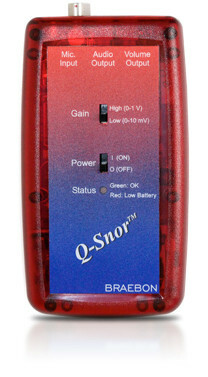 The Q-Snor is ideal for quantifying the actual level of snoring intensity between 40 and 100 decibels. 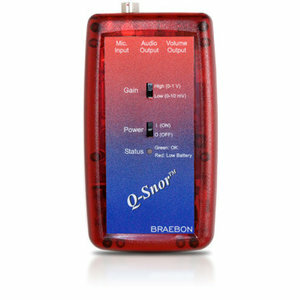 Compatible with most PSG systems, the Q-Snor uses an advanced electret condenser microphone to easily and conveniently indicate how loudly a person is snoring.